FACT CHECK: Was Journalist Bre Payton's Death 'Beyond Strange' Due to Her Reporting on the Mueller Probe? A D.C. lobbyist asserted without evidence that the young reporter's death was suspicious due to her recent reporting activities. Journalist Bre Payton's untimely death was connected to her reporting on the Mueller probe. We found no evidence anything was amiss about Payton’s passing, other than its particularly tragic nature due to its suddenness, her youth, and her apparent vitality. We reached out to the San Diego Police Department and the San Diego County Medical Examiner’s Office, who confirmed to us that her death was not being treated as suspicious. Around 8:30, on December 27th, Bre’s friend went into her room and found her unresponsive and barely breathing. She immediately called 911 and Bre was taken to the hospital where she was admitted to the ICU, sedated & intubated, and doctors began working up a diagnosis. After a CT scan and hours of testing, they have determined she has the H1N1 flu and encephalitis. George stayed at the hospital with her in San Diego. Burkman’s statements about Payton’s work are true in the sense that on 13 December 2018, Payton reported that government cellphones belonging to former FBI agent Peter Strzok and former FBI lawyer Lisa Page had been reset to factory settings (and effectively wiped of data) after the two were removed from U.S. Department of Justice Special Counsel Robert Mueller’s team. Strzok and Page had carried on an extramarital affair with each other and exchanged a number of messages disparaging President Donald Trump while they were on Mueller’s team, which is investigating whether collusion between Trump’s campaign and the Russian government took place during the 2016 election season. Both were kicked off the team, and Strzok was fired by the FBI, while Page resigned. However, Payton didn’t “break” the story about the wiped cellphones, as the information in her article was sourced from a publicly available report issued by the Justice Department’s Office of the Inspector General (OIG), and Payton was only one of many journalists who covered it. Readers may remember Burkman for his part in helping drum up a false but persistent rumor that murdered Democratic National Committee staffer Seth Rich (rather than Russian hackers) had been responsible for transmitting stolen emails to WikiLeaks. Rich was shot dead in an apparent robbery attempt gone bad on 10 July 2016 while he was walking from a bar to his home in Washington, D.C., just before WikiLeaks began dumping leaked Democratic National Committee emails in the lead-up to the 2016 general election. “The Profiling Project” Burkman referenced in his tweet is a group of volunteers based in Arlington, Virginia, and funded by Burkman, who launched an “investigation” into the Rich murder. 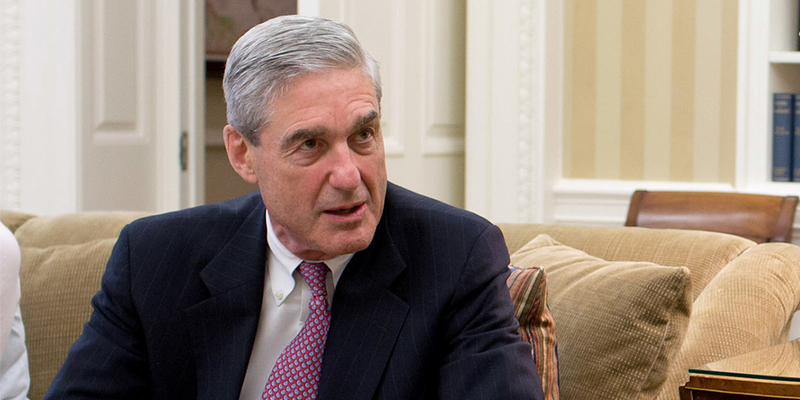 Mueller’s office asked the FBI to investigate after Burkman and Twitter personality Jacob Wohl in October 2018 undertook a smear campaign to discredit Mueller by linking him to accusations of sexual assault. The New York Times. 30 December 2018. The Federalist. 3 January 2019. The Federalist. 29 December 2018. The Federalist. 13 December 2018. GoFundMe. Accessed 3 January 2019. Right Wing Watch. 1 November 2018. The Atlantic. 30 October 2018.